If an intersection has a stop sign, when must you stop? If an intersection has a stop sign, when must you stop? The intersection may have hidden dangers or is considered difficult to judge. You must always stop. You must stop at or behind the yellow line at a stop sign. You can then move forward gradually until you can see clearly up the road. Stop signs are used at blind intersections where lack of visibility makes approaching the intersection at any more than 10kph unsafe. 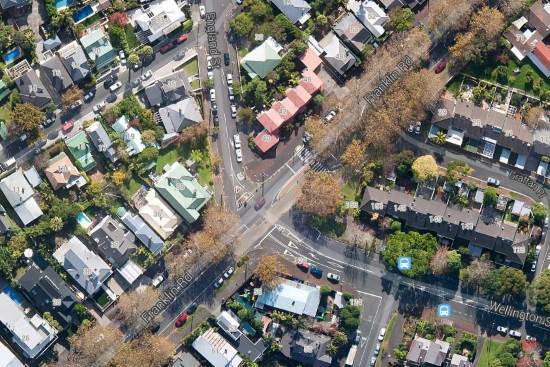 The calculation used for this is taken from a point nine metres before the intersection using the 85th percentile speed in metres. For example if the 85th percentile speed is 90kph, you must be able to see each way up the road a distance of 90m when you are 9m from the intersection. If an intersection has an unusual layout or traffic pattern, then it might qualify for a stop sign. For example, if there is a crossroads and one side of the crossroads should get priority over the other because one side is a minor road and the other is a busy road, the minor road may get a stop sign. This can be seen at the intersection of Franklin Road, Wellington Street and England Street in Freeman's Bay, Auckland. 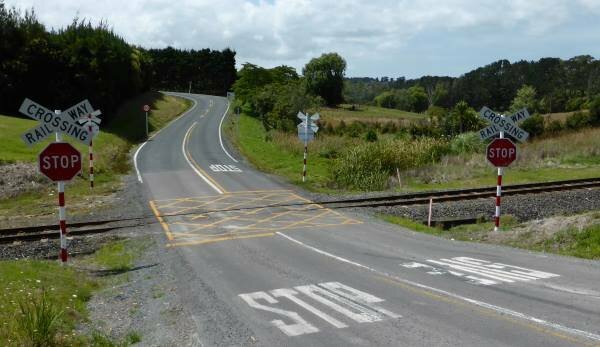 Stop signs are also placed at some railway crossings - in fact, this is one of only two scenarios where a stop sign can have another sign on the same pole to form a combination sign. The other is where there is a keep left sign. 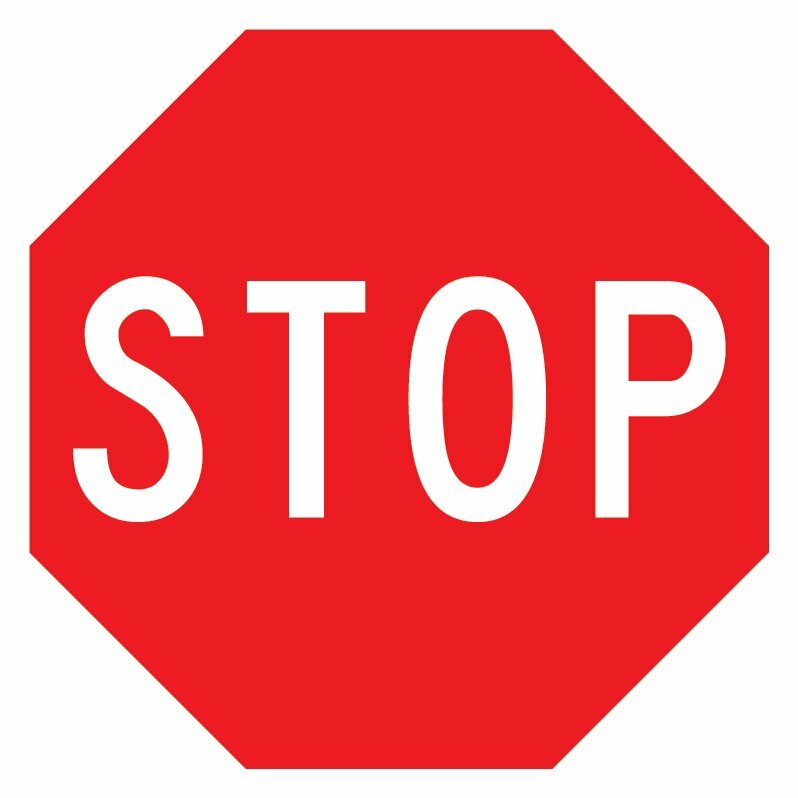 There are three sizes of stop sign, depending on the speed of the road: 675mm, 845mm and 1015mm. Larger signs are used where the approach speed is higher so that they are more visible from a distance. Where are stop signs located? Stop signs are usually erected on the left-hand side of the approach to an intersection with its back visible to traffic on the main road. It should be closer than 9m to the edge of the main roadway. Intersections with traffic islands in the middle may have an additional sign. At railway crossings the sign is at least 3m from the track. In 50kph zones the sign must be clearly visible 60m from the intersection. In zones more than 50kph the sign must be clearly visible 120m from the intersection. If this isn't possible then a 'Stop Ahead' sign can be provided to warn drivers. 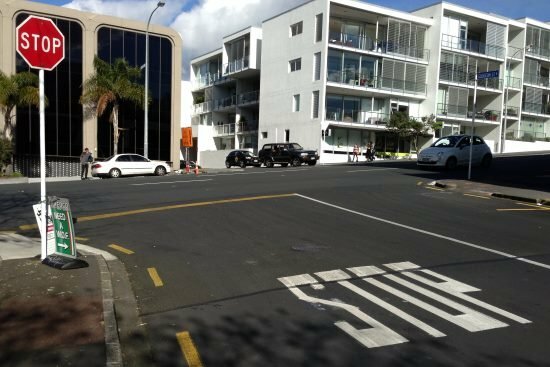 This image from the corner of Gudgeon Street and College Hill in Auckland shows a 675mm stop sign on the left of the intersection, with a painted yellow line, and a painted STOP on the road.